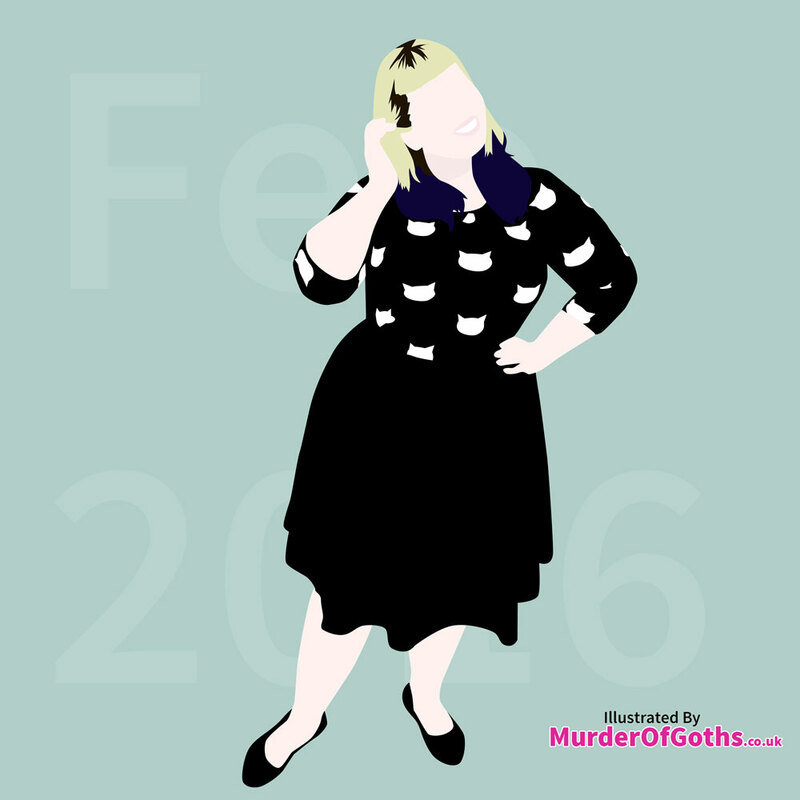 Last month I drew six of my favourite plus size outfits from January, so now it’s time for some of my favourites from March. As with the January favourites, there is also a Pinterest board, because there were just too many wonderful outfits to just pick six. 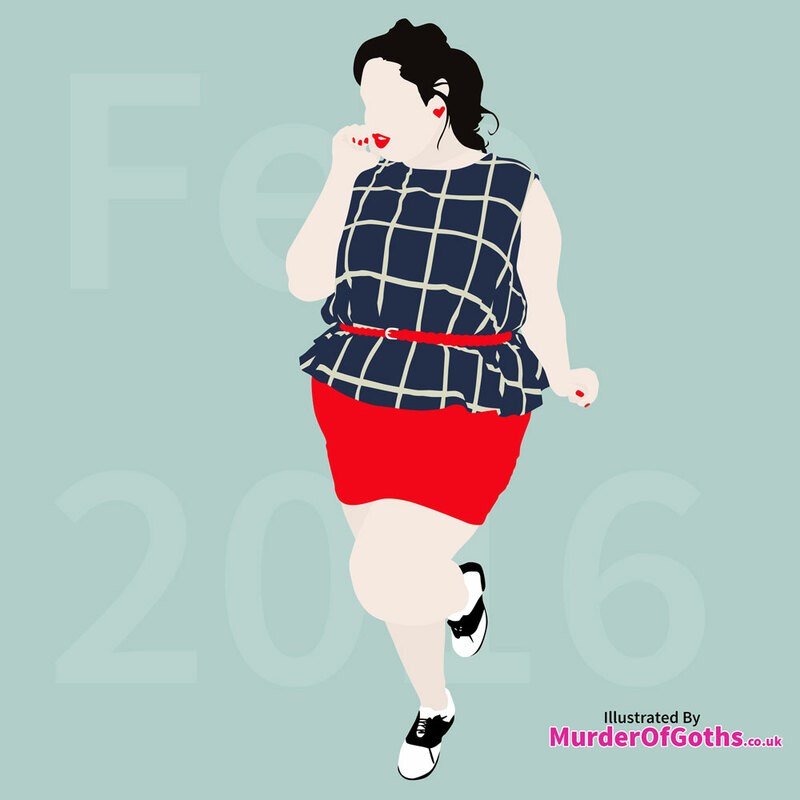 I love this cute dress worn by Corissa from Fat Girl Flow, she looks incredible showing off her legs. Definitely making me think I need to embrace the mini skirts too! This is so summery and fun, love the retro lines and the bright colours. Felicity Hayward looks like she’s stepped out of an old movie. Marie looks amazing in this Ready to Stare skirt and t-shirt, she looks so comfortable, not just in the clothes but in her own skin. I’m a sucker for anything cat related, so just adore this cat print top as worn by Mind the Curves. Looks great teamed with a simple black skirt. 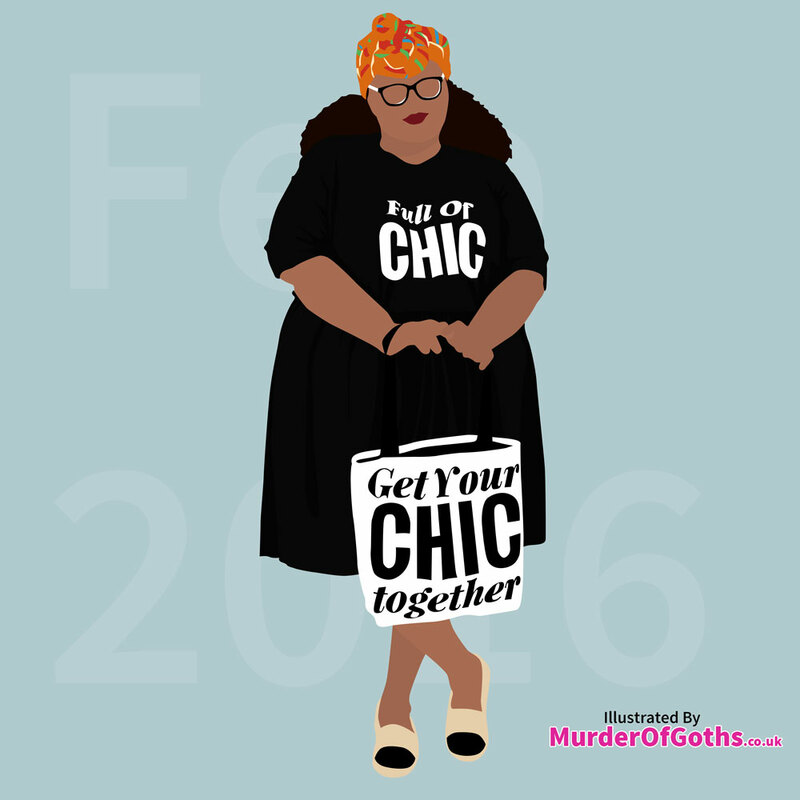 Maui of Phat Girl Fresh looks so stylish in this simple outfit, loving the combination of the tshirt and bag from The Curvy Fashionista collection. Red lipstick, red nails, red skirt.. what’s not to love about this outfit from Big Hips Red Lips? I especially love the shoes! Really hope you’ve liked these as much as me, do let me know in the comments if there were any outfits that really stood out for you in February. And do check out my Pinterest board for more gorgeous plus size fashion. 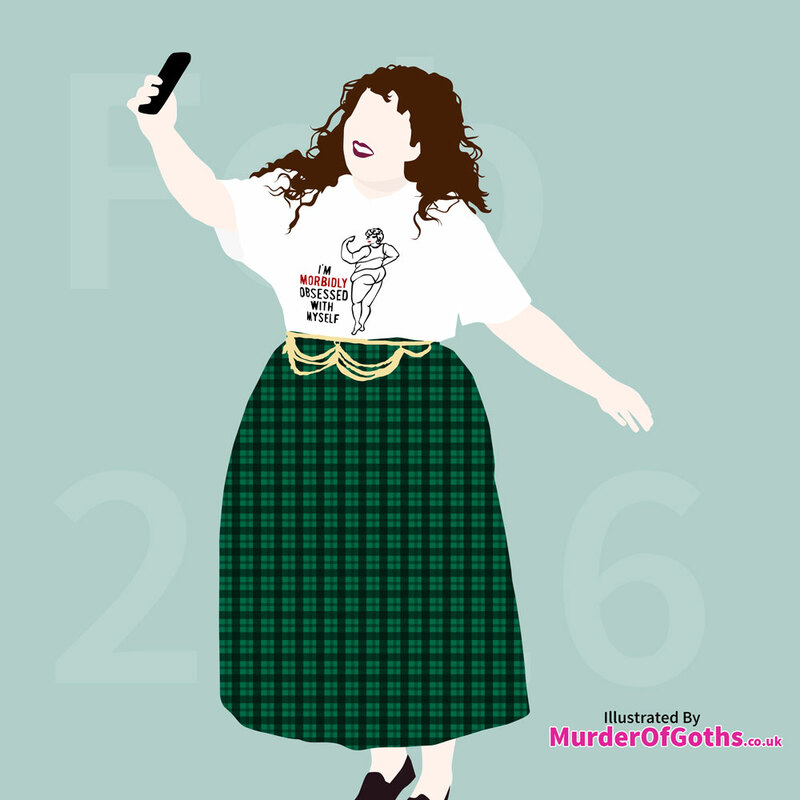 Follow MurderOfGoths’s board Feb 2016 Plus Size Inspo on Pinterest.